Imagine yourself blasting down a white water river — spray flying everywhere and your heart beating like a drum. Or imagine yourself on a mirror-smooth lake at dawn, slicing the silence with smooth paddle strokes. Can one boat do all this? Yes, our Sport Kayaks do all that and more! Several years ago we changed our floor construction from a 7 tube I-beam floor to 5 tubes. This greatly enhanced the paddling performance of our Sport Kayaks because the paddler sits higher and most of the weight is born by the floor, rather than the side chambers. These Deluxe One-way Valves are simple and easy to use. A great improvement over traditional pipe valves which are hard to close, loose air easily and crack over time. Our Deluxe Valves come with an inner diaphragm which allows air to be pumped in without air escaping afterwards. The larger opening of the Deluxe Valves allows for rapid inflation and deflation. 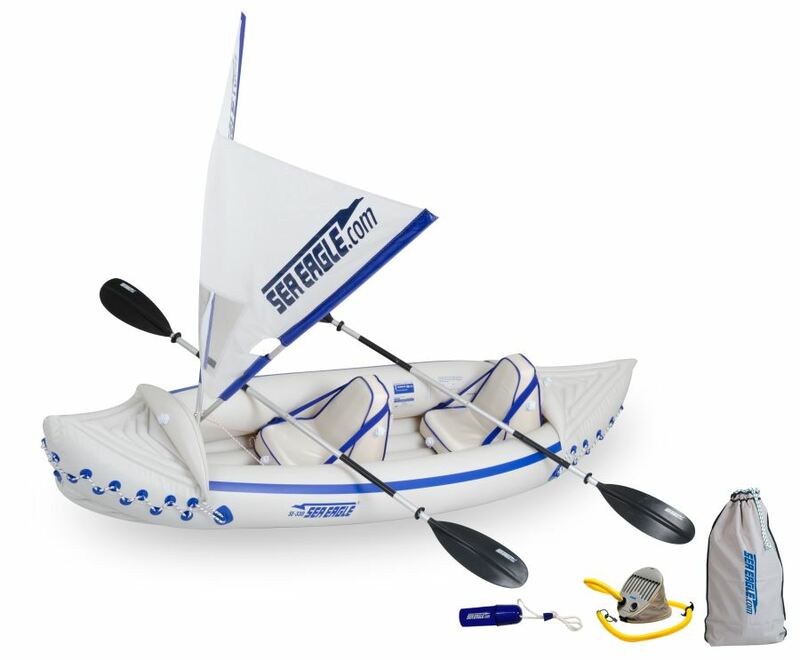 Comes with molded O-rings that can't be lost and a tether that will keep them attached to the hull at all times. Final seal is achieved by the outside cap for true air tightness. 2 Adults or 500 lbs. 24" x 16" x 7"